You can celebrate summer, promote taking the lycra out of cycling and normalising it as a means of transportation, enjoy a leisure bike ride to Island Bay, fall in or out of/ be in/ stay in love with your cycling partner, and even be in two win prizes – ALL IN AN AFTERNOON! 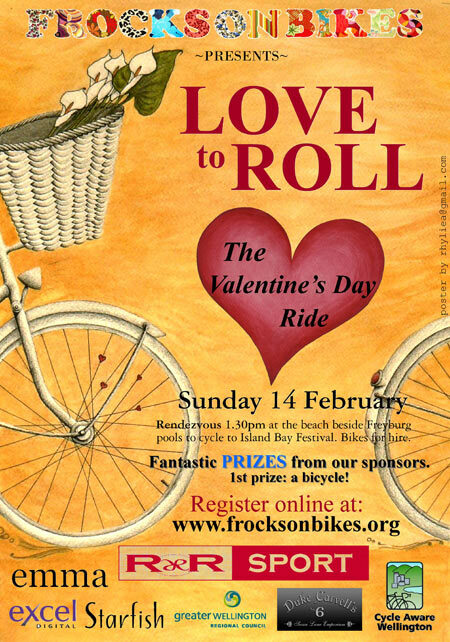 All the info and chance to register is available on frocksonbikes.org. Friday, February 5th, 2010 at 6:27 pm. Filed under Events. Follow comments (RSS 2.0), comment, or trackback.